1. What kind of entrepreneurs are you? We at FACTS are an experienced team of entrepreneurs with many years of international experience in the financial sector. Both Maarten and Peter have lived and worked abroad in developing countries for most of their careers, and have gained a good sense of what works in developing economies. Maarten is currently based in Nairobi and Peter is based in Amsterdam. A sound business case and a solid financial basis are very important to us. We focus on the combination of a solid bottom line and providing a meaningful product for the economies we operate in. When we see an opportunity like supply chain financing to SMEs, where no other players have the capacity and courage to do it, we take on that challenge. 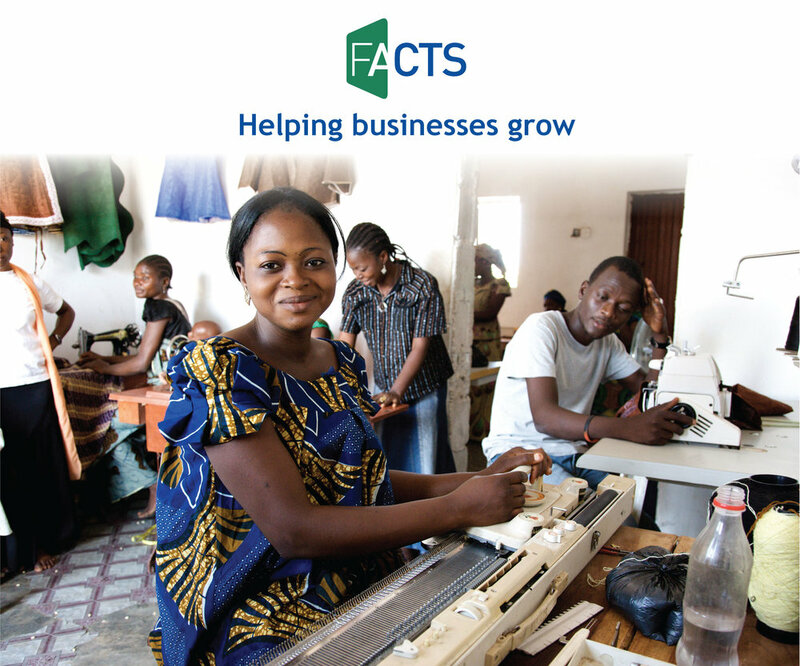 FACTS is a fintech company from the Netherlands operating in East Africa, supporting fast growing small and medium sized enterprises (SMEs) with innovative Supply Chain Finance (SCF) solutions. We help SMEs manage the timing of liquidity: getting paid when goods are delivered instead of waiting for client payment, which can take up to 60 to 90 days. We combine this with state-of-the-art technology to ensure smooth, reliable and fast processing. This is a new concept in Africa and FACTS is a first mover in this growth market, addressing the “missing middle” not served by banks or microfinancing institutions. We operate on a sustainable commercial footing and adhere to generally recognized (impact) principles. Financial Access, our parent company, is a long established financial sector advisory firm with a 25-year track record with financial institutions in emerging markets. Financial Access Commerce & Trade Services (“FACTS”) was established in the Netherlands in 2016. Next to Financial Access, the founding sponsors and shareholders include DGGF, AECF, ICCO and SEAF. FACTS was founded with support from the Dutch government as part of their strategy of cooperation with the private sector to enlarge their impact in focus markets. We reached operational stage after a thorough Proof of Concept phase, testing the 24/7 SCF platform, credit processes and operations and piloting with a small group of clients. We are in scaling-up mode. Our portfolio is rapidly accelerating; in the first quarter of 2017, we expanded the number of live anchor clients to 10 with a total exposure of almost EUR 1 mln. We have a pipeline of over 30 potential clients waiting for funding in the next 2 months. Negotiations are ongoing with a select group of banks in the region to cooperate closely in origination and funding. We want to obtain affordable local currency funding, while putting in place a risk sharing structure to leverage upon the strengths of financial institutions and to minimize foreign exchange risks. In the near future, we will open up our offices in Tanzania, and scale up our activities in the healthcare sector along with a further expansion in the number of clients. In addition, we will further develop our collaboration model with local banks and continue to professionalize our operations to even better service our African SME clients. This will go hand in hand with expansion of our team: we expect to double our teams in Africa in the next two years. 4. What is the unique value of the products/services you offer? We are using an innovative cloud platform and we are a first mover in this field in East Africa. SMEs tend to be underserved by the financial sector and this lack of access to finance is a key constraint to growth. The SME finance market we are operating in is truly enormous. SCF addresses this “Missing Middle” and we are very efficient in this because of our technology platform. The application of modern technology has created new possibilities and strategies that were previously considered inefficient or non-viable. Our cloud-based SCF technology allows for superior execution of “small ticket / large volume” transactions. Straight-Through-Processing allows for fast and efficient decision making with minimal human intervention, enabling us to act fast in response to client requests. 5. What is the main goal of your crowd investment campaign? The main goal is to attract capital to maintain a capital ratio of 20% as required by our financiers. As we are scaling up our activities, we are raising 1 million Euro in funding to support the growth in the number of clients and the associated growth of our operations. Part of this will come from our crowd investment campaign on Symbid. Around 220.000 Euro has already been invested by the crowd and we still have one-third of our campaign ahead of us. For FACTS, crowdfunding is a great way to reach a wider public for our story and engage with new investors. We are proud of our work and like to share this. FACTS has completed successful past (debt) campaigns and based on that success, we decided to include crowd investing as a component of our current fundraising efforts.